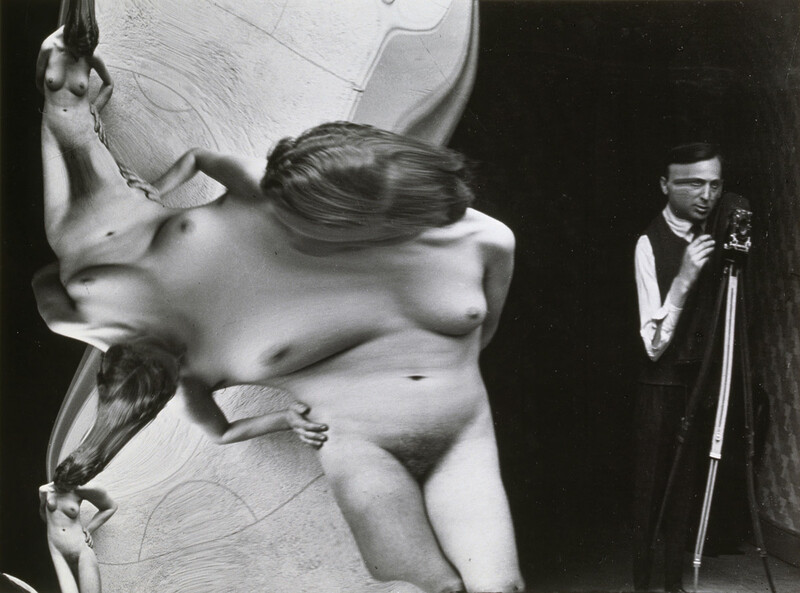 Andre Kertesz was an amazing Hungarian photojournalist who took his first serious photographs in the First World War. Kertez focused on the lives of soldiers not fighting instead of concentrating more on the war aspect. He was said to have a knack for grabbing the seemingly unimportant and subtle moments. Even though the amazing work and the contribution to the evolution of the art of photography he was overlooked his whole life due to him not commenting on his subjects. Kertesz like Henri Cartier-Bresson was a soldier and contributed in photojournalism. 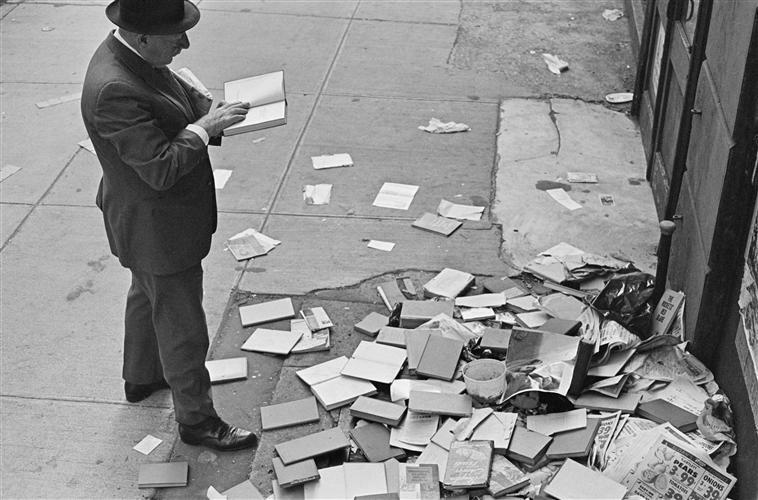 Cartier- Bresson was born in France and is known as the father of modern photojournalism. He was a master of candid photography and helped develop the Street Photography / Life Reportage style in photography. 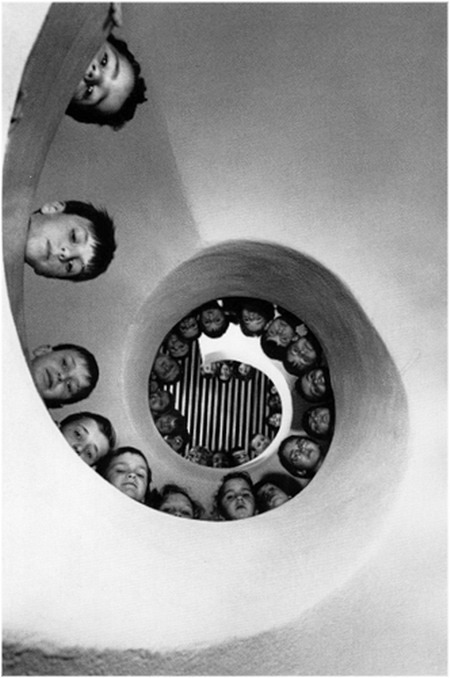 Cartier-Bresson was inspired by Kertesz and cited him few times saying “we all awe him a great deal”. He also was greatly drawn to the surrealist movement. Martin Munkacsi’s photograph “three boys at Lake Tanganyika” in 1930 attracted him towards photography. 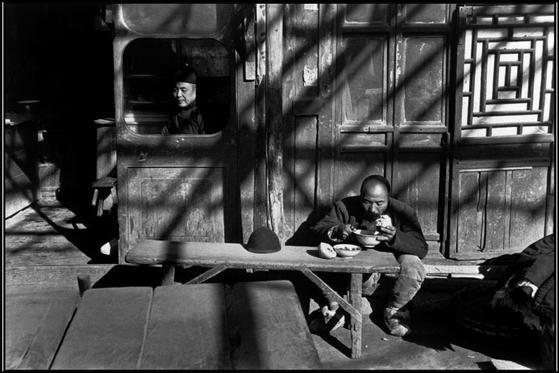 Cartier-Bresson liked anonymity and went to great lengths to maintain it. He is said to have painted the shiny parts of his camera black. He never used flash in his photography because he compared it with bringing a gun to a concert. 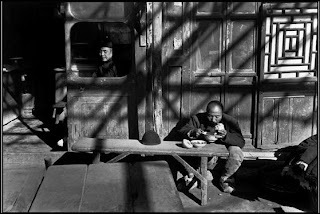 Henri Cartier-Bresson always dismissed others’ applications of the term “Art” to his photographs. 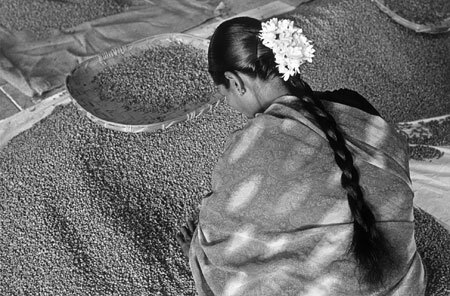 Sabastiao Salagado is a Brazilian social documentary photographer and a photojournalist. He is one of the most respected photojournalist working today. He is well known to show dignity towards his subjects. Mr. salagado’s respect for his subjects and his determination to draw out the larger meaning of what is happening to them, has created an imagery that testifies to the fundamental dignity of all humanity while simultaneously protesting its violation by war, poverty and other injustices. W. Eugene Smith was a legendary American photojournalist. He was well known for his vivid World War II photographs and a stubborn personality for refusing to follow the professional standards of photojournalism. Smith spent most of his career taking pictures of the war and traveling to major countries of the world and capturing milestone events with his camera. All four of these photojournalists spent major part of their lives capturing the world turning events and contributing their experiences to the art of photojournalism and photography in general. -What are the main differences and similarities? Andre Kertesz tended to capture life that’s happening around him. 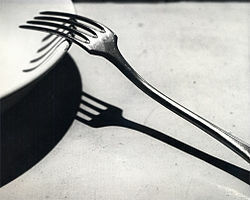 Although Kertesz could not recognize himself having a photojournalistic nature, he was born with it. His work tells the stories as they happened. He had a natural ability to capture realities in the perfect moment. Henri Cartier-Bresson, one of the founders of Magnum Photos, believed that the main role of photojournalists is reporting. 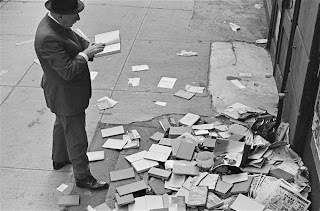 Unlike journals written in text, Cartier-Bresson thought that photojournalism should not take someone’s point of view and the audience should accept the pictures as they are without analyzing them. 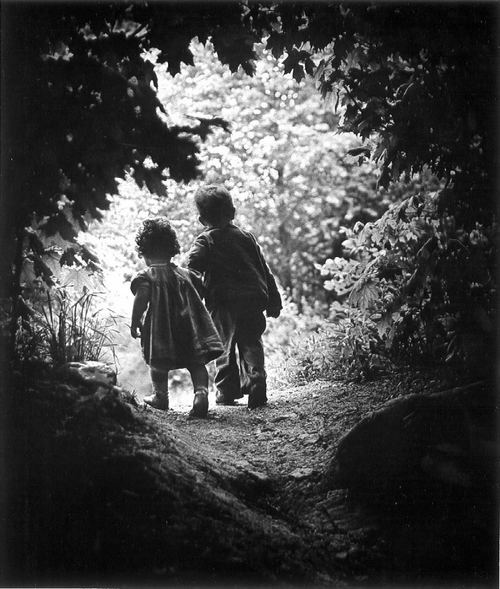 Eugene Smith was one of unique photojournalists in a way that he tried to get involved in his work and directly influenced the product while most photojournalists avoided interacting with people they photographed in order to have reporter’s objectiveness. Smith even edited his photos to exaggerate what he wanted to tell through pictures. Sebastiao Salgado was also a photojournalist who interacted with the people in his photographs. He was more like an opinion writer, not a reporter. 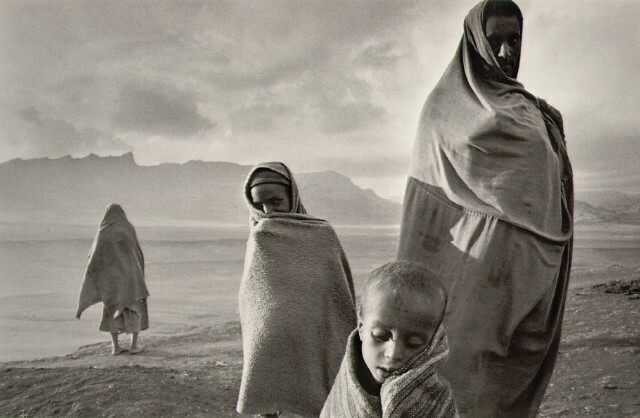 Salgado also used a lot of postproduction in his photographs making people who were suffering look beautiful. 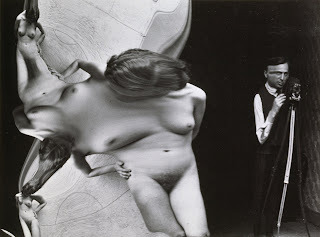 Andre Kertesz and Henri Cartier-Bresson had similar photojournalistic styles. They both thought that they need to be invisible when they are taking pictures so that scenes are not interrupted. They told the stories as they happened, and those stories are just found from their surroundings. In addition, they took no point of view in order for the audience to see their photographs as they are. On the other hand, Eugene Smith and Sebastiao Salgado had a similar style from each other, but it was very different from Kertesz’s and Cartier-Bresson’s. 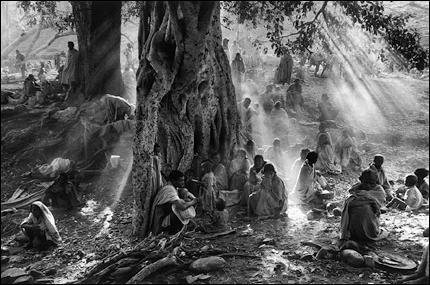 Smith and Salgado both entered the circle being a part of people in their photographs. They believed that it is the way to understand people’s feelings, which can be expressed on their pictures. For instance, Smith even lived with others for about a month before taking pictures. Furthermore, Smith and Salgado applied their opinions to photographs. To do that, they composed and underwent postproduction process. Smith tended to exaggerate what he wanted to show by lighting, and Salgado altered his work such that suffered people look beautiful. - What’s the better journalistic approach? I don’t think there is any better journalistic approach among these legends. 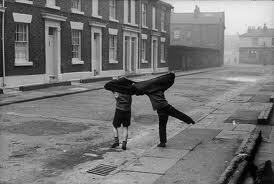 But, I do prefer the approach use by Andre Kertesz and Henri Cartier-Bresson who stayed invisible and anonymous and refused to alter their images for they might drift away from the journalistic idea.